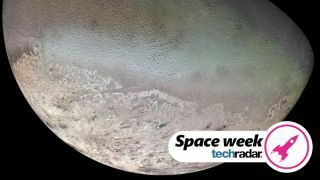 NASA has proposed a new mission to Triton, Neptune's largest moon, to find out whether it might harbor an ocean – and perhaps also life. The plan, put forward by the space agency's Jet Propulsion Laboratory, is to send a spacecraft called Trident, equipped with state of the art imaging equipment to capture new pictures of the icy satellite. Data returned by the Voyager 2 spacecraft in 1989 suggested the presence of water plumes spewing from the moon's interior, suggesting that it might be geologically active and capable of supporting life, but NASA's team pointed out that any new mission would need to begin quickly. As The New York Times reports, if Trident arrives too late, it will find Triton plunged into darkness – and the position of the planets and moons means it won't see sunlight again for another 80 years.